Well, the cookie is true... but Josh didn't say anything about only having one. He knows I'm an unstoppable cookie-nomming machine. 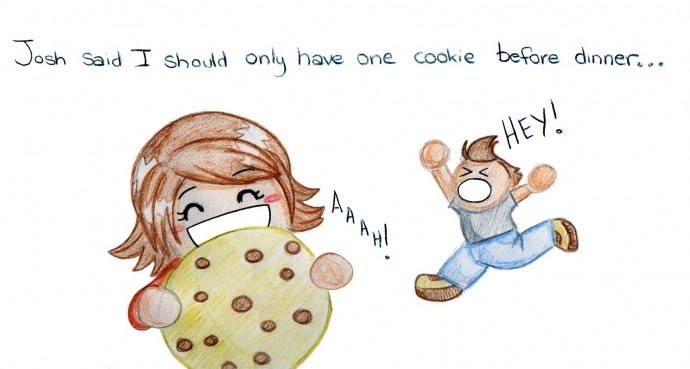 Also, he'd never say I can only have one cookie. He'd say I can only have one biscuit.